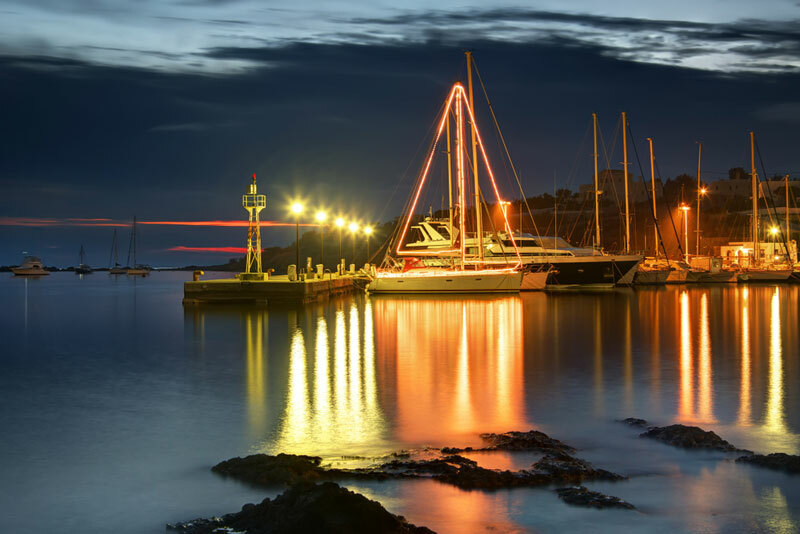 Celebrating Christmas and the New Year in the Cyclades, Greece, is always a fascinating experience! Among the many festivities, with the children singing beautiful carols and the smell of the exquisite holiday dishes filling the air, the most special celebration of all is the Epiphany; a moment of devotement, when the local priest throws the holy cross in the waters in order to bless them and then a bunch of—usually young—men jump in the cold as ice sea to catch it and be themselves blessed. According to the tradition, he who keeps it in his hands will have great luck throughout the year. There are many more sayings like this across the Aegean: if for example, on New Year’s Day, the wind comes from the North, it will bring good luck, while, on the same day, a pigeon landing in the house yard will be a good omen. On the contrary, if you see a raven flying over your roof, there are chances of bad things happening. In some of the islands, on the first morning of the New Year, people touch their faces with a piece of iron so that they will be healthy and strong—as if made of iron. If, during Christmas holidays, you disembark in Mykonos, don’t even think of missing the chance to try the traditional around Greece, famous “kourabiedes” (butter biscuits with almonds, dusted with icing sugar), “melomakarona” or “finikia” (baked biscuits dipped in honey syrup) and “diples”(fried dough dipped in honey syrup). Not only their taste but also their smell as well is irresistible. Sailing around the Aegean, in Amorgos you will eat “koftos”, a dish that includes wheat, onions, grated cheese and olive oil. In Anafi Christmas Day is celebrated with “koufeto”, a spoon sweet made of peeled almonds and pieces of pumpkin together slowly boiled in honey and New Year’s Day with the famous “zaforisto”, bread that has the taste of saffron and the color of the sun. In Naxos the Christmas bread is made of raisins and walnuts with a whole shelled walnut in the center of the loaf. In Sifnos the traditional Christmas meal consists of roasted pork and bread made with aniseed. In Syros, on Christmas Eve, the catholic residents eat fish and cauliflower while in Tripotamos, a small village of Tinos Island, people enjoy their “Brotherhood Meal”; an old Christmas custom according to which the (always male) head of the family is assigned to keep the candle that stands in front of the icon of Christ’s Birth, lit during the whole year. Lunch is also an only-men celebration, where guests bring their own cutlery, bread and wine and eat large portions of veal soup, meat cooked with onions in tomato sauce and boiled meat that the master of the house must serve abundantly.